Cookies and beer: our new favorite holiday tradition. Rogue Bottle is not a place where we hold tradition sacred. But in the process of breaking old traditions, sometimes you form entirely new ones. Traditions that belong only to you and the people you care about. And sometimes those traditions involve beer. Josh Waldman, Head Brewer at Elysian Brewing, tells us why their winter seasonal beer is not a stout or a porter, but a strong and citrusy pale ale. He also tells us why it’s a perfect pairing with holiday season sugar cookies. Amy Thorstenson, a writer, event planner, and founding member of Trap Street, stops by to re-create her family’s favorite cookie recipe. We chow down on cookies paired with holiday beers, then discuss tamales, lutefisk, and why Christmas trees are completely insane. 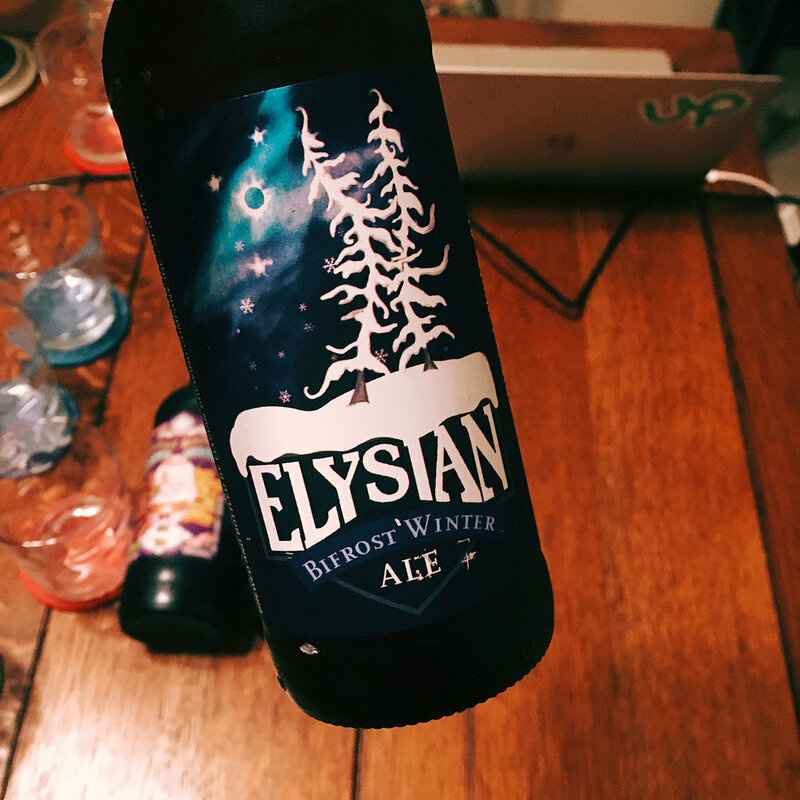 Elysian Brewing Bifrost Winter Ale is a strong pale with lovely citrus tones. Without the traditional cookie press, we hand-molded spritz cookies to the best of our abilities. Never did figure out how to pronounce this lovely stout from Campanology. Amy actually brought over home made vanilla extract for the cookie making! New Belgium's seasonal white IPA, Accumulation, is a great beer – but maybe not so great with cookies. 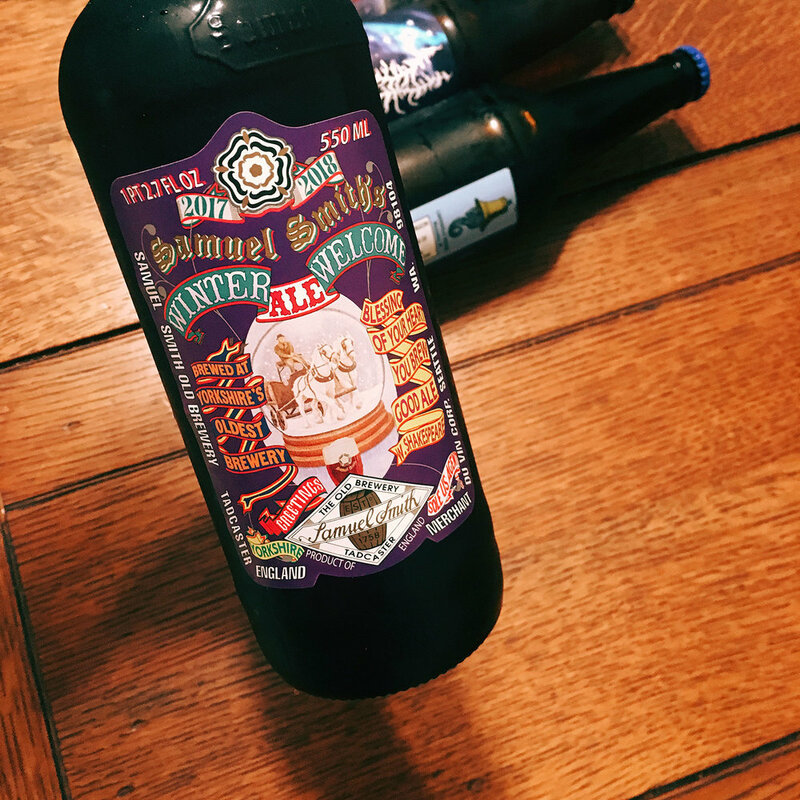 Samuel Smith's Winter Welcome Ale is a trusty and tasty cold weather beer.